This week, we celebrate integration. Though it is intrinsically at the heart of what we and our partners do in addressing myriad global health challenges through thoughtful, efficient strategies, today integration is particularly at the fore. For the very first time, there is a global plan to simultaneously take on the two diseases killing more than two million young children each year: pneumonia and diarrhea. The Integrated Global Action Plan for the Prevention and Control of Pneumonia and Diarrhoea (GAPPD), released today by the World Health Organization (WHO) and UNICEF, provides the latest strategies and evidence needed to reduce death and illness from the two leading killer diseases among children. Beyond integration across the two diseases, the GAPPD is an opportunity to meld global and local agendas, giving national governments a comprehensive tool to determine the specific plans, investments, and partners needed to address the unique needs of their countries and achieve the greatest health impact for their citizens. Global prioritization can only make a difference if it spurs complementary urgency among national governments where diarrhea and pneumonia still claim far too many lives. Engagement among national officials, health ministers, civil society, the private sector, donor agencies, multilateral institutions, and vulnerable communities is an ideal reflection of the GAPPD's integration of prevention and treatment strategies and its combined focus on diarrhea and pneumonia. Clinical workers from Cambodia to Kenya know well that neither diarrhea nor pneumonia occurs in a vacuum. These diseases are often linked in a vicious cycle that exploits weakened immune systems struggling to overcome co-infections and threatened by basic environmental perils. By the same token, the good news is that many of the solutions needed to fight pneumonia and diarrhea are complementary. The GAPPD provides a framework to protect children, prevent disease, and treat those who do become sick using proven interventions that we know work against both diarrhea and pneumonia, like vaccines, proper nutrition, safe water, sanitation, and integrated case management. PATH is working to integrate our work related to diarrhea and pneumonia across a range of countries and platforms to contribute to this critical global health priority, aligned with the GAPPD framework. Specifically, we will be partnering with governments, international organizations, private-sector entities, and others to maximize utilization of critical interventions proven to reduce illness and deaths from these killers of children -- and holding ourselves accountable for achieving clear results. We will, for example, be building on our work in Cambodia, where about 9,100 children under the age of five die from pneumonia every year, and 2,300 die from diarrhea, integration is already at work. 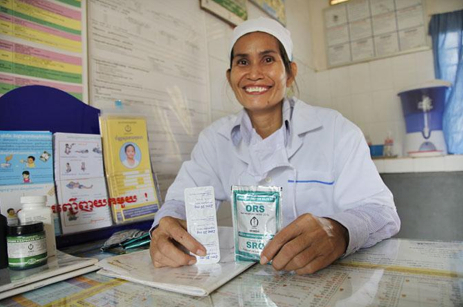 Since 2005, PATH has helped Cambodian officials implement clinical and community interventions that integrate diarrhea and pneumonia control, particularly in rural communities where child deaths are highest. Policy changes at the national level are cascading to provincial, district, and village levels, and empowering volunteers and caregivers to spark change and achieve lasting impact. During a one-year demonstration project, village health volunteers trained through the project hosted more than 450 mother classes, reaching more than 11,000 pregnant women and caregivers with lifesaving messages on pneumonia and diarrhea prevention and treatment. In parallel, Cambodia's national investment provides a model for the translation of integrated policies into action plans and interventions in other vulnerable communities. With support secured from the world's leading health authorities, the call now shifts to national governments to translate this global framework into reality in the clinics and communities that battle childhood diarrhea and pneumonia every day. 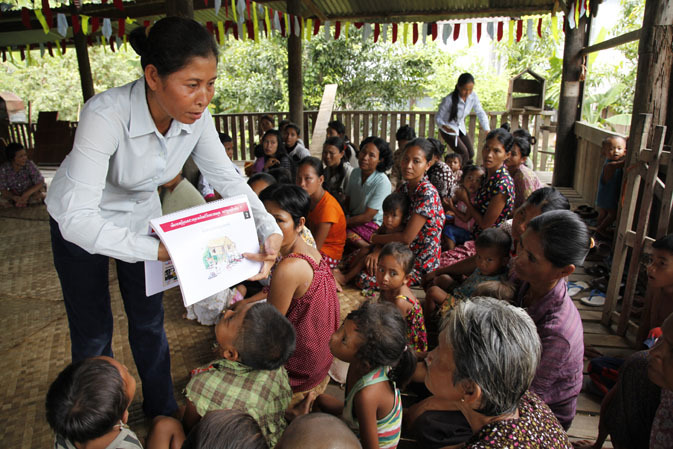 The GAPPD offers guidance on tapping into the strengths of national programs that already combine diarrhea and pneumonia interventions; on clarifying roles, responsibilities, and accountability across ministries, sectors and partners; and on dedicating resources to reduce health inequality and reach those in greatest need. In addition to our commitment to working at country level to ensure access to life-saving diarrhea and pneumonia interventions, we also are helping to turn the action plan into health impact. For example, PATH and World Vision International developed an advocacy toolkit for in-country NGOs and CSOs. GAPPD messages, advocacy actions, and template materials (press release, brief, letter) can be tailored for each country context. Today's launch of the GAPPD with its complementary resources is a reminder of the crucial value of collaboration and integrated efforts: Global and local officials must work together. Stakeholders such as civil society and the private sector must work together. Governments must engage health workers who must in turn work with their communities, so that diarrhea and pneumonia can be overcome... together.